The redesigned stereolithographic 3D printer offers superior prints at higher speeds. Formlabs also announced Black resin, their online European store, a 1 year warranty, and new software. SOMERVILLE, Mass. , Jun. 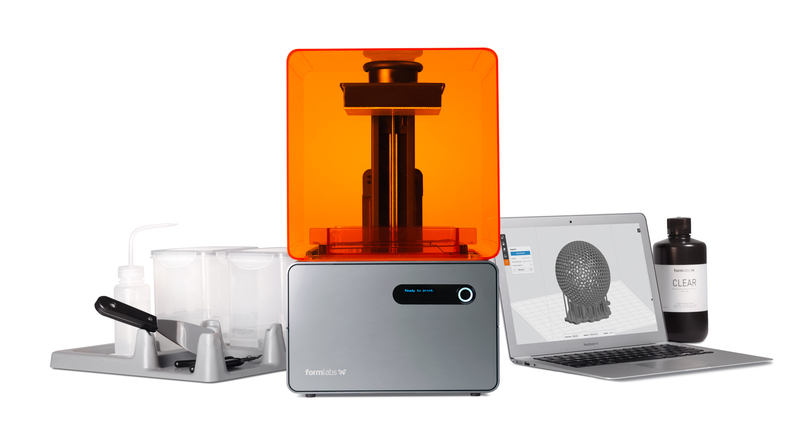 10, 2014 – Formlabs announced the Form 1+ today, an extensive overhaul of their flagship desktop stereolithographic 3D printer. The fast-growing 3D printer startup also announced a new material today, as well as the launch of their European store. “The Form 1+ is a huge step for us,” Maxim Lobovsky, cofounder, said. 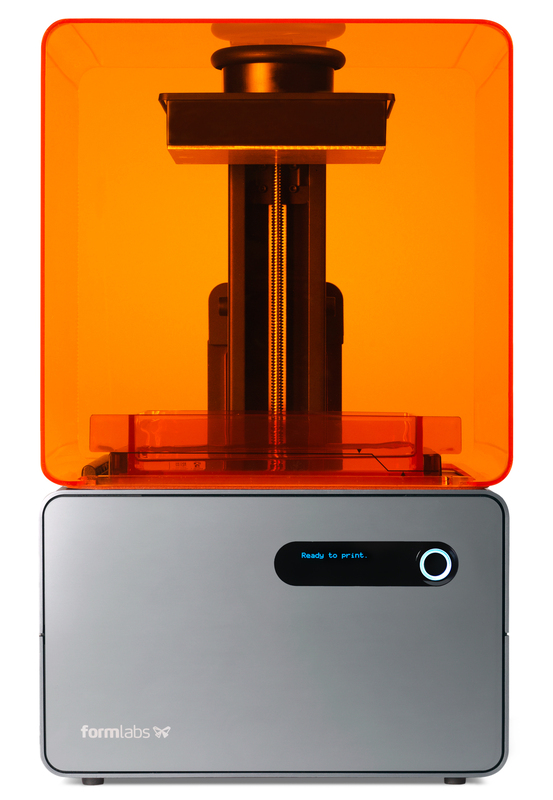 “With the Form 1+, we’re maintaining our lead in providing the most affordable, professional-quality machines to artists, designers, and engineers around the world.” The machine’s price remains the same at $3,299 (€2,799), available directly from formlabs.com. Owners of the original Form 1 will have the opportunity to participate in a factory upgrade program that will bring their printer to Form 1+ specifications and grant them a new 1-year warranty. 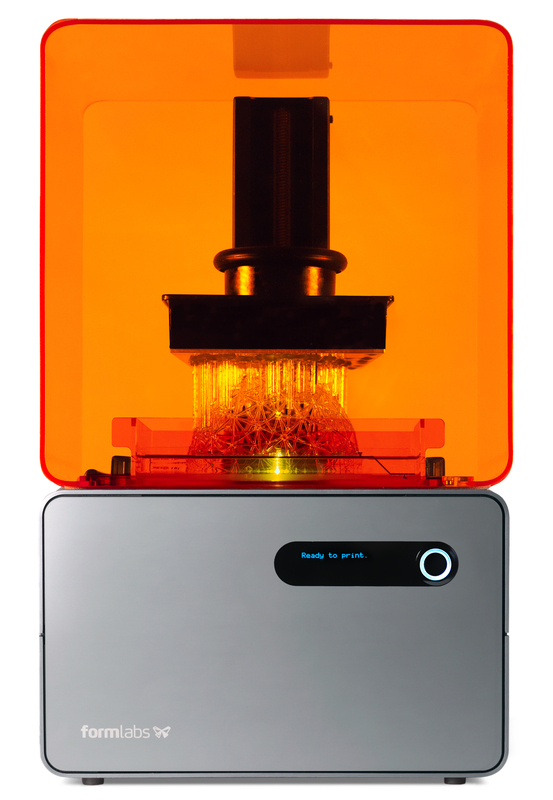 The Form 1+ Upgrade is available from formlabs.com for $749 (€599). 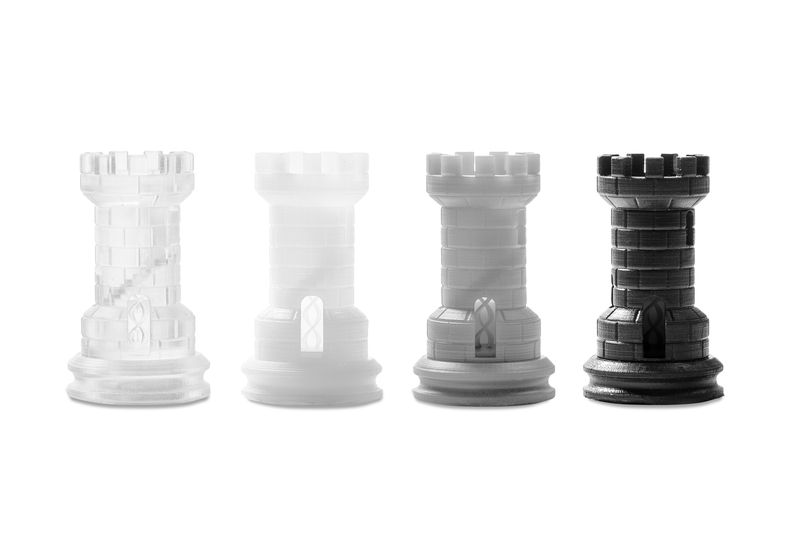 Formlabs also announced the release of a new material today. Black resin joins White, Clear, and Grey in the company’s growing materials library. Michal Firstenberg, a Formlabs Materials Scientist, said, “Our black resin captures details amazingly well, and has a beautiful finish and rich color. We’re excited to see what people will make.” The resin is available from formlabs.com for $149 (€125) per liter.